Daniel……Washington Senate: Senator Murray in some SEVERE TROUBLE now; Rossi leads her by 10 Points and the current leading Republican Candidate, State Senator Don Benton (R-WA) is only down by 2……. What a POLLING STUNNER this morning. Washington State Senator Patty Murray (D.WA) finds herself now in a TOSS-UP Race even if `04 & `08 Dino Rossi (R-WA) declines a Bid. Rossi leads Murray by 10 Points in a new KING-TV Survey USA Poll. This only becomes more interesting if Rossi really runs. More STRIKINGLY though is that Murray is only ahead by two against State Senator Don Benton (R-WA) who is the leading Candidate in the Event Rossi doesn’t run. Looking at the Crosstabs of this Survey Independents favoring Republicans from anywhere 9 to 24 Points. EVEN Benton leads that Group by 13 Points. 15-18 % of Democrats cross over to vote for the Republican Candidate. Note: Widener dropped out I believe yesterday. Like Other Incumbent Democrats Coast-to-Coast, US Senator Patty Murray In Trouble in Washington State: In hypothetical general election matchups for United States Senator from Washington state today, 04/23/10, six months to the midterms, incumbent Democrat Patty Murray does not poll above 46% against any of 6 possible Republican opponents, according to SurveyUSA research conducted for KING-TV Seattle. In 5 of 6 matchups, Murray finishes nominally ahead of the Republican, but within the theoretical margin of sampling error. 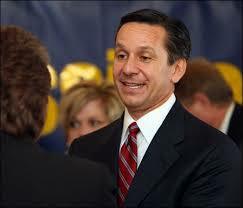 In 1 matchup — against 2004 and 2008 gubernatorial candidate Dino Rossi — Murray loses by 10 points, 52% to 42%. * Against State Senator Don Benton, it’s Murray 46%, Denton 44%. * Against former NFL player Clint Didier, it’s Murray 46%; Didier 44%. * Against businessman Chris Widener, it’s Murray 45%, Widener 43%. * Against Businessman Paul Akers, it’s Murray 45%, Akers 44%. * Against doctor Art Coday, it’s Murray 45%, Coday 41%. In each of these tied contests, Murray leads by double digits among women, but trails by 6 to 10 points among men. In each tied contest, Independents break for the Republican and 14% to 18% of Democrats cross over to vote Republican. Against Rossi, Murray trails by 26 points among Independents and in Eastern Washington, trails by 20 points among men, and trails by 16 points among voters under age 50+. Filtering: SurveyUSA interviewed 850 Washington State adults 04/19/10 through 04/22/10. Of them, 728 were registered to vote. Of the registered voters, 517 were determined by SurveyUSA to be likely to vote in the November general election. 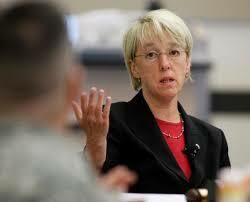 Patty Murray, first elected to the US Senate in 1992, is seeking a 4th term. As I mentioned to Daniel this morning….. Rossi is reportedly waiting for ANOTHER poll and has told people he has until JUNE to make up his mind…Will he go??? UPDATE: The more I look over these numbers, the more I’m struck by how bad they are for Murray. Keep in mind that SurveyUSA is an extremely accurate pollster, and isn’t surrounded by any of the allegations of bias (founded or unfounded) that accompany other pollsters in the field. She gets clobbered by Rossi, who has run two statewide elections in the last five years, losing by ten points. But even if Rossi doesn’t run, she’s stuck at around 45% against the rest of the field, which includes a state senator (Benton), an inventor (Akers), a doctor (Coday), a former pro football player and farmer (Didier), and a businessman (Widener). These are the type of candidates who should be pulling 30% against even an unpopular three-term Senator right now, not running neck-and-neck with her. Indeed, when you examine the differences between the Murray-Rossi polling and the other polling, we see that the only difference is that Republicans and Independents move to undecided. Murray gets 73% of Democrats against Rossi (with 6% undecided), while against the others she receives between 76 and 79 percent of the Democratic vote, with 5-9% undecided. But Rossi gets 87% of Republicans and 59% of Independents. The other Republicans get around 48% of Independents and 78% of Republicans, with undecideds rising into the double digits in those categories. In other words, I suspect that even if Rossi doesn’t run, these other Republicans have significant room for growth, much more so than Murray has. And it gets even worse. SurveyUSA finds an electorate with the following demographic breakdown: 36%D, 23%R, and 39%I; 20% 65+; 33% conservative, 43% moderate, 19% liberal. In 2008, the Washington electorate was 36%D, 26%R and 39%I; 19% 65+; 32% conservative, 41% moderate, 27% liberal. Like I said, SurveyUSA is a very, very good polling company. But very few people are expecting the 2010 electorate to resemble the 2008 electorate this closely; it is expected to be older, whiter, and more conservative. I certainly don’t expect fewer Republicans in the electorate than there were in 2008. In other words, this poll might actually understate how bad things are for Murray. Daniel….Washington Senate: Murray leads announced Challengers between 8-10 Point; However with Rossi is she leads only barely…. Will he or won’t he – this time it’s Dino Rossi (R-WA) I’m speaking of. According to a new Statewide Survey in the Evergreen State Incumbent Senator Patty Murray (D-WA) leads her announced Challengers in the 8-10 Point Range. However if Dino Rossi makes the Race she only leads him barely. This Race will become a true Toss-Up should Rossi pull the trigger. However with Murray’s mediocre Numbers……. particularly against the 2 Business Candidates Widener & Akers……. something seems possible here even if Rossi doesn’t run. The Question is Daniel…….Will Rossi run? The guy don’t seem to be in hurry…Maybe he STILL doesn’t want to run?